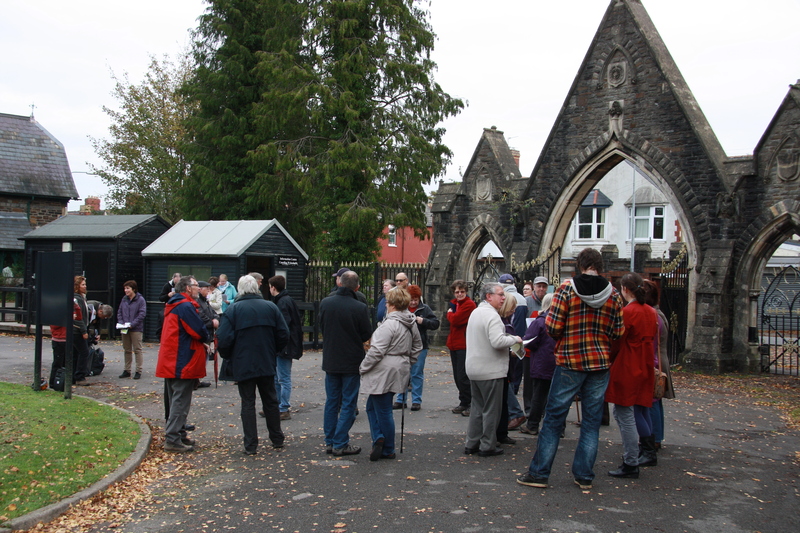 Writer Jodie Ashdown headed off for a Cathays Cemetery Military Insignia Walk on 26 October, 2014. Here, she spills all about the experience. I had no idea that Cardiff Council held free walks, until my mother stumbled across it whilst looking for walks in Cardiff. We have a weird fascination with graveyards in my family, so this particular walk seemed like the perfect introduction to these free tours. 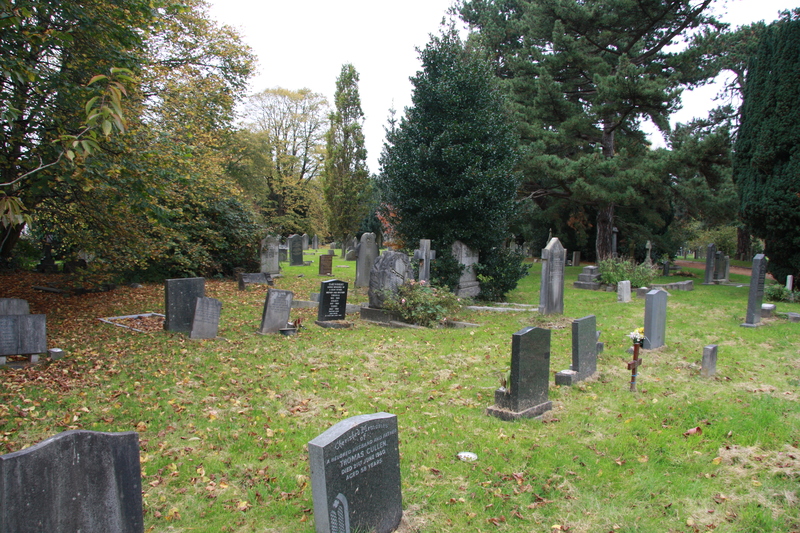 Run by Cardiff Council Bereavement Services and Friends of Cathays Cemetery, this walk in the cemetery was focused around Military Insignia and Commonwealth War Graves Commission headstones. They also run lectures in Cardiff University as well as other, more general tours of the graveyard, but this had a specific leaning towards those that gave their lives during the World Wars – very apt for this time of year. 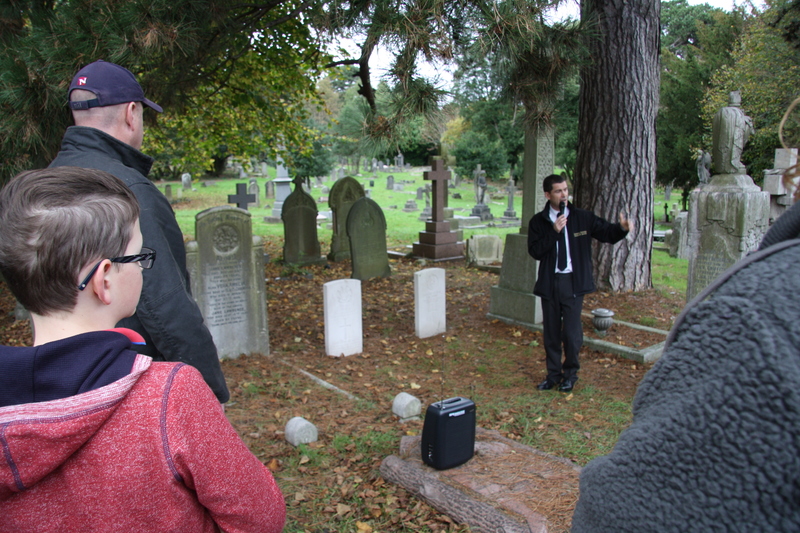 We were led around the site by Phil Amphlett from Bereavement Services who pointed out and explained many of the fascinating and often tragic stories which are to be discovered in third largest municipal cemetery in the UK. We learnt about the various insignias, the religious and personal inscriptions on the headstones, and also about how the Commonwealth War Grave Commission regularly replaces headstones of the young men and women who gave their lives during WWI and WWII. Stories included the raid on Zeebrugge (for which one man postponed his wedding and unfortunately didn’t return) and a member of Churchill’s Secret Army (the Baker Street Irregulars). We also heard about the bomb which landed on the cemetery, blowing gravestones high into the air, and about a member of the Women’s Auxiliary Air Force who died in a factory bomb blast. It was an incredibly moving and educational tour and was completely free.